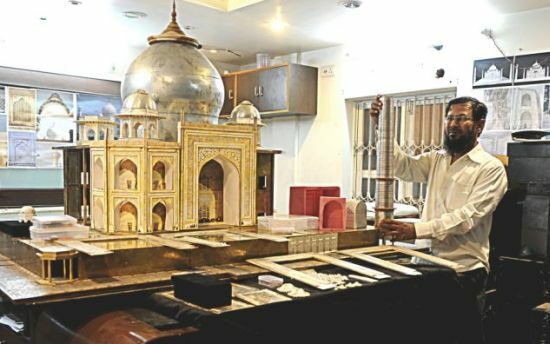 Jeweler Syed Hanif's Taj Mahal is an exquisite replica worth $18.3 million. 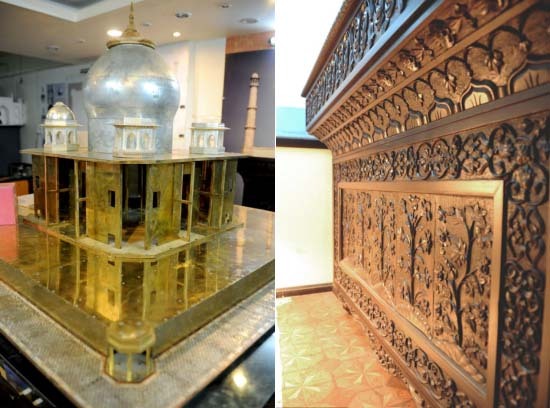 The 3.5 feet replica of the architectural wonder features 400 kg of silver, 20 kg of gold and 8 diamonds. 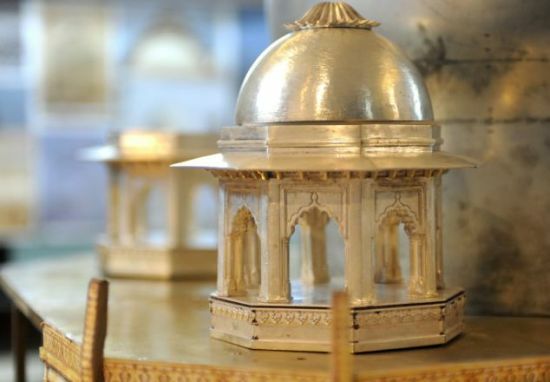 Developed and crafted by 35 skilled craftsmen, the bejeweled replica is reproduced exactly by taking every detail from the original building. 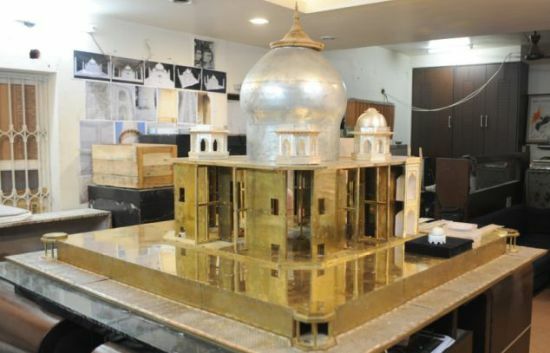 The stunning piece also has 32 golden doors to make it look like Shah Jahan's Taj mahal.